Hawthorne Village, a division of The Bradford Group, presents the illuminated HO-scale Boy Scouts of America® Express. 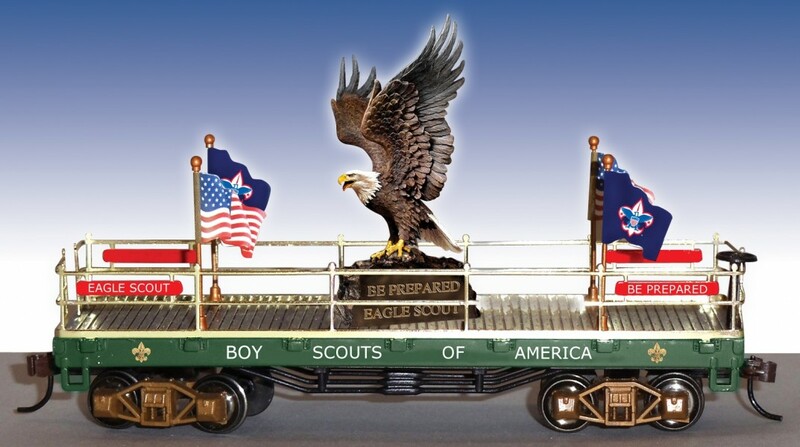 This illuminated model train features classic, full-color Norman Rockwell art, with the passenger cars depicting all the values put forth in the Scout Oath and now includes the Eagle Scout® Flat Car with fully-sculpted Bald Eagle. 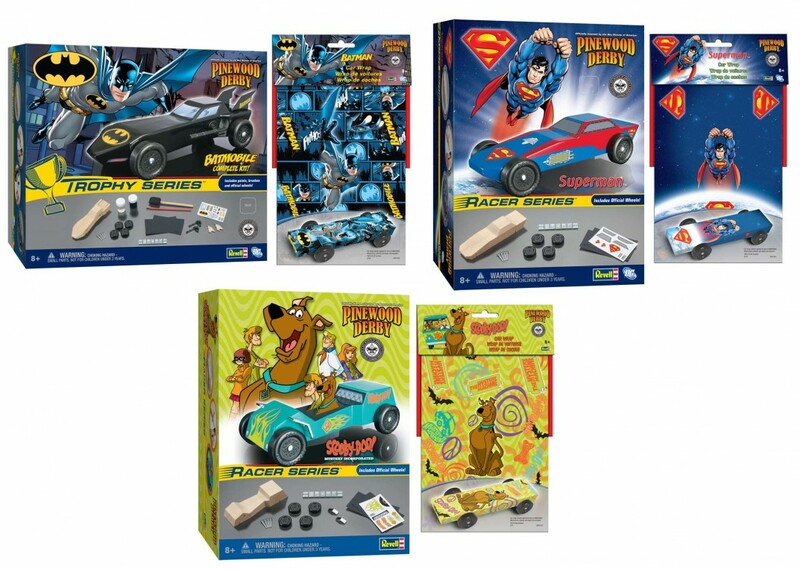 Revell has brought together the Boy Scouts of America and Warner Bros. to create new racing series designs that feature Pinewood Derby® Batman, Superman, and Scooby-Doo Racer kits. All kits include official, race-legal BSA® wheels and axles. 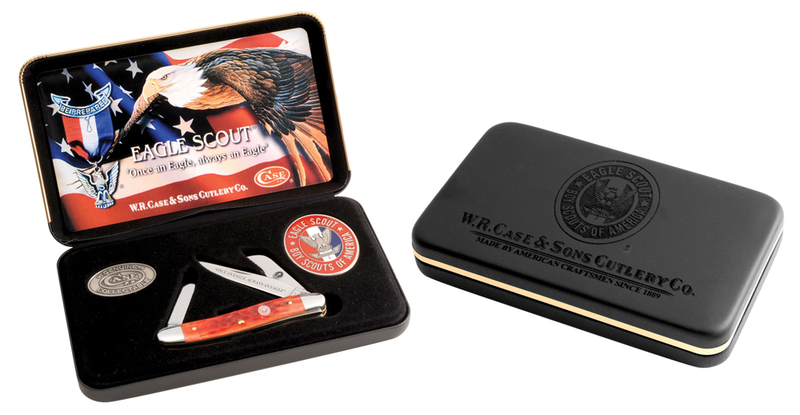 W.R. Case & Sons Cutlery Company proudly salutes the Eagle Scout®, the Boy Scout’s pinnacle rank of achievement. This Eagle Scout Commemorative Knife is the Case Medium Stockman (6318 SS) and features a Peach Seed Jigged Dark Red Bone handle and a fitted brass Eagle Scout® shield. 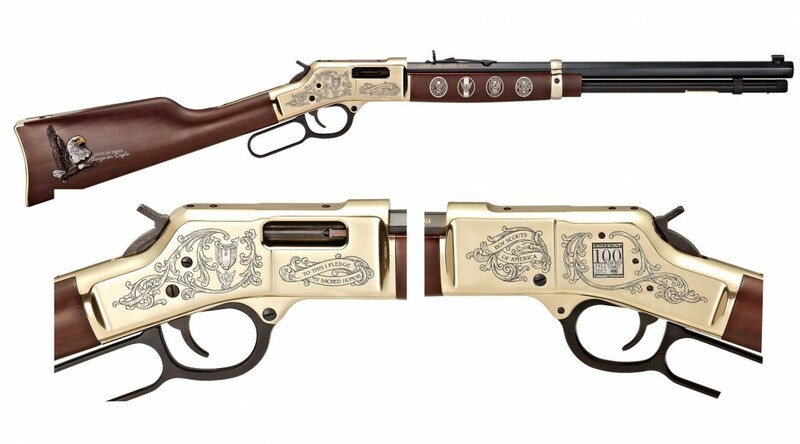 This commemorative rifle from Henry Repeating Arms celebrates 100 years of the first Eagle Scout Award and the more than two million Boy Scouts who have earned this privilege and honor. Commemorative Brands introduces new Eagle Scout® and BSA® pendant and ring designs with their ArtCarved® brand. Rings can be personalized on each side with a name or troop number and/or year dates. They offer multiple metal choices in either Siladium – jeweler’s stainless steel, 10K or 14K white or yellow gold. 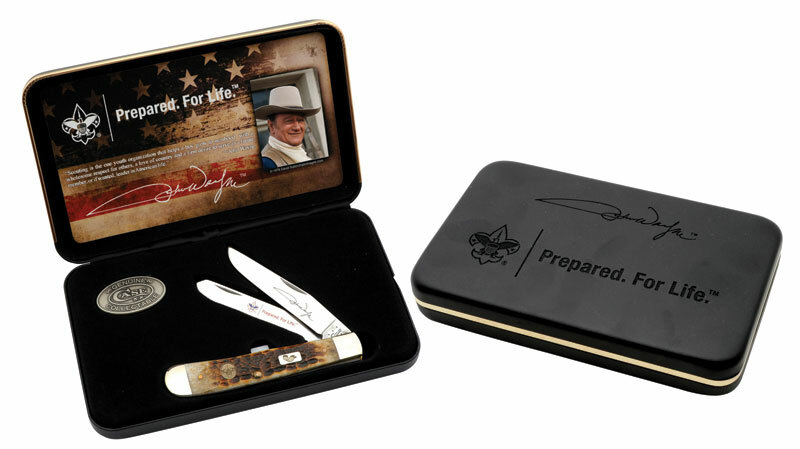 The W.R. Case & Sons collectible John Wayne Boy Scout knife contains a genuine Brown Bone Trapper and is packaged in a black jewel box and contains a Genuine Case Collectible Medallion. Road Warrior from BSA Licensing on Vimeo. You never know who might be a Boy Scout. “Road Warrior” Promotional video from BSA Licensing. Food For Thought from BSA Licensing on Vimeo. You never know who might be a Boy Scout. “Great Equations” Promotional video from BSA Licensing. Be Prepared® granola bars from Happy Trails Food Co. are packed with natural energy to keep you on track and on the trail all day long! The lineup includes Wildberry Blue, Campfire Smore, Sweet ‘N’ Salty and Wild Chocolate Cranberry.